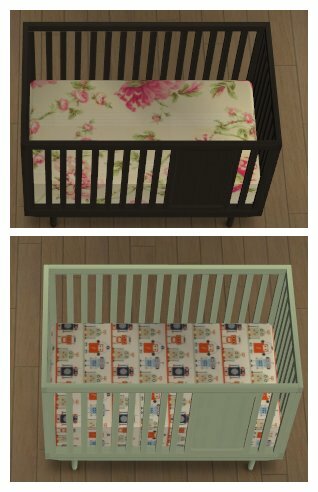 A small update today - BB's Oh Baby Set - only in non-default but cribbing to Jonesi' Blanket. So Pop this in - you'll have 3 BB's cribs and change tables - one linked to the originals, one to EA Cribbing, and this one to Jonesi Blanket. And if you ever need another cribset for Oh Baby Nursery Set - then you're insatiable! !